SILVER SPRING, Md. --- Citing the need for strong male leadership in women's ministries, General Conference leadership has looked to bring in some outside expertise in the form of outspoken real estate mogul, reality star and presidential candidate, Donald Trump. 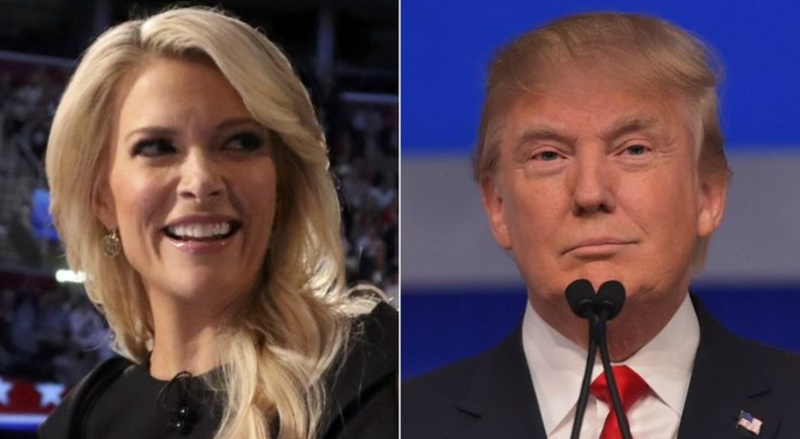 The Donald most recently made waves by seeming to suggesting that Fox News journalist Megyn Kelly was menstruating when she asked him particularly pointed questions in last week's presidential debate. Speaking to CNN this past Friday, Trump said of Kelly, "You can see there was blood coming out of her eyes, blood coming out of her wherever." Although the comment led to massive public bipartisan uproar and Trump being disinvited by the organizer of a major conservative forum in Atlanta, he seems to have found favor with Adventist General Conference leaders who released a statement citing appreciation for "Trump's principled and consistent stance on male leadership," and naming him as an advisor to the General Conference in the area of outreach to women. "Listen, we all know that Donald Trump is not the Adventist candidate in this presidential election," said General Conference Domestic Affairs Director Enoch Chronism, "But once in a while it pays to take the time to learn from a leader in society who is not afraid to defend the natural order of things." Chronism said that the Adventist Church should take courage in Trump's "fearless stance as a strong male in the face of the voices of political correctness that seek to disrupt time-honored gender norms. "Here is a guy who is not afraid to be a man and remind society at large that men and women, while both inherently precious, have very different roles to play," said Chronism. He added that Trump would never have put up with the ordination debate that happened in San Antonio a few weeks ago. "I'm pretty sure he would have been pleased with the outcome though," added Chronism. I like the name of the alleged GC domestic affairs director, “Enoch Chronism,” Yes, the result of the ordination vote certainly was an “anachronism” and it set us back to almost to how it was in 1881, when the GC first considered women’s ordination. But, regarding the alleged connection between The Donald and the GC, any unwary readers show take note that this is a satire site like The Onion. The GC has not spoken in favor of The Donald nor appointed him to any position. Keep reminding us this is satire. It sounds too much like established policy, given recent GC votes/decisions. Trump is a good choice for a women’s advisor to the GC. He has had a few marriages to qualify for the job. He would also run the Department like he does his show, “The Apprentice”. Good Luck, Don!! Woe is me. It would be better if they hire Megyn Kelly as the adviser. First, she’s a woman. Second, she’s smart (probably smarter than The Donald). Third, she’s pretty (definitely prettier than The Donald). So a man who failed at lots of marriages and couldn’t figure out how to keep a woman, is suddenly an expert on women? Yeah, and my dog is an expert at rocket science. My parakeet is an authority on scuba diving. Once I was a real expert on women. Then the alarm clock rang and I woke up. Can someone donate an alarm clock to The Donald? What’s all this fuss about Donald Trump? He’s not that bad; he just needs a new toupee. Give me a break, will you? I did not have relations with that woman! And I did not inhale! The last great President was Ronald Reagan. Bring back the good old days! Well, I think the last great President was George Washington ! I think the last great president was Josiah Bartlet. You gotta give credit to The Donald for one thing: he’s consistent. Yep, he’s very consistent, until he changes his position — which he does quite often. So who knows? Given his chameleon-like changeability and penchant for making an about-face on the issues, he may eventually turn out to be the greatest advocate of women, including women’s ordination. If the GC really wants an adviser on women in ministry, they should look to the Columbia Union president, who preached this sermon on August 8: http://EqualOrdination.com/dave-weigley-sermon/ . He explains that, in spite of oppression, women are called and anointed by God, and they “will never walk alone” in this post-San Antonio era. Like David in the Bible, women may have to wait in the shadows for a while, but eventually God will bring their anointing to fruition.